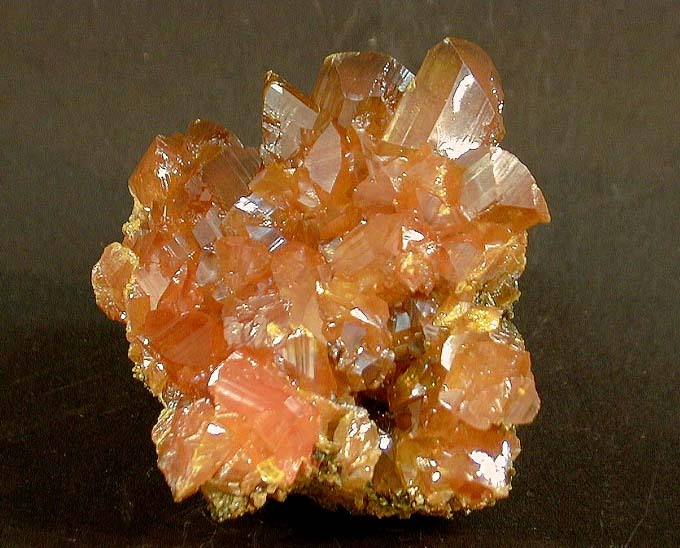 Comments: Deep orange-colored orpiment crystal aggregate. Location: Twin Creeks mine, 62 bench, north of Winnemucca, Humboldt County, Nevada. USA. Scale: 6.5 x 5.5 cm.